It was all starting to make perfect sense. I listened to stories about communities who didn’t seem to care about maintenance as I stood there in Haiti looking at a broken (and now unusable) well. I also heard stories about American missions teams coming to visit well projects they’ve funded, only to return home disappointed after witnessing the condition of the water source they thought would change lives in a poor community. This was one of those in-your-face moments of clarity when everything that I’ve read and discussed over the last few years became very real. We talked about how well water projects are more than just digging a deep hole, but should start with community meetings and training programs to make sure that the projects don’t fail in a couple of months. 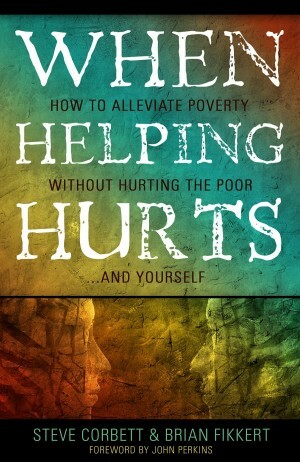 In their book When Helping Hurts: How to Alleviate Poverty Without Hurting the Poor… and Yourself, Steve Corbett and Brian Fikkert deal with this tension between missions that have a positive impact and those that may unintentionally cause more harm than good. Even the authors admit that churches always send people with the best intentions. However, without fully understanding the impact of our actions, we may be creating a void, dependence, or some other problem when we leave. Corbett and Fikkert share several stories that serve to illustrate the points they’re trying to make. Through these stories it’s easy to see the impacts of good and not so good missions projects. One of my personal favorites is one they tell in the introduction of the book about a ‘successful’ evangelism experience with a witch doctor in Uganda. In telling this story, the author shares their excitement in reaching someone, but also clearly identifies everything that was wrong in their approach resulting in a conversion that ultimately failed. That’s one of the things that I really like about what the authors did in this book. They started by being critical of themselves, and not pointing the finger at someone else. Corbett and Fikkert are both Professors in Economics and Community Development, and they run The Chalmers Center for Economic Development. In their work with The Chalmers Center, they focus on research and training churches in economic development strategies that empower the poor. I don’t know that I’ll ever look at missions the same way again. If I’m completely honest with myself, I used to think that the people in less developed nations needed people like me to help fix things for them. The more time I spend in the mission field, the more I realize that my presence there should be closer to invisible. I’m not there to bring answers and fix problems. I’m there to support and encourage the incredible work that God is already doing through the local churches who are transforming their communities. It doesn’t matter if you’re into supporting global missions, or working within your own city. This is an important book if you want to be a Christian (or church) who wants to impact a community… the right way. Amen! That even happens here in our own country where we bail the poor out instead of empowering them to get out of the pit they’ve either dug themselves in or fell into. Such a helpful and insightful review, Dan. I am putting this one on my wish list! I think that in your line of work, there is probably a great deal that this book talks about that will impact you. I think that you’ll see a lot of the lives of the refugees you work with in the stories in the book. Thanks for the great feedback on the review! the mission field, the more I realize that my presence there should be closer to invisible…” TRUTH! This book is making the rounds among Christian philanthropists. Good review! thanks! and yes, there seems to be a lot of buzz about it in those circles right now. i just hope that many are looking for practical ways to apply the ideas rather than just letting it be the popular thing to talk about. Huge impact on myself and Kristen as we try to prayerfully navigate helping girls in Kenya. I agree that it is a must read for anyone doing missions work. yeah… you and kristen are some of the people who i think about when i read stuff like this, and i’m glad to hear that you’d recommend it for folks in missions work. and you nailed it on some of the big concepts covered in the book! i’m guessing that a whole book could be written on each of those topics! thanks for the feedback on the review! 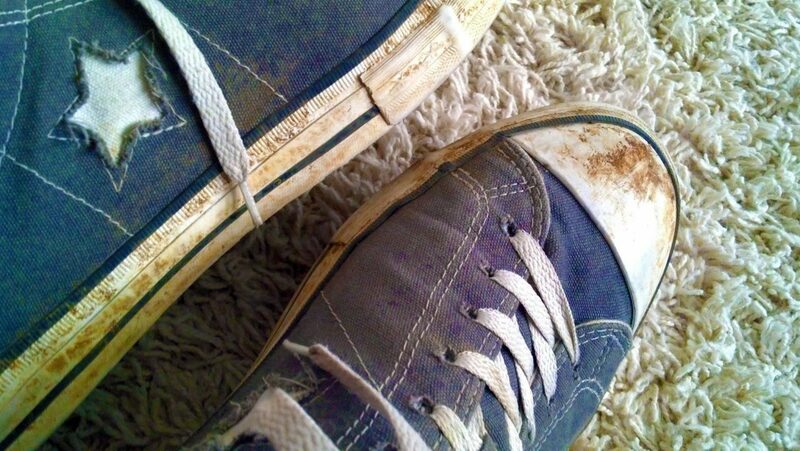 And, this is why we still do mission trips…. Help people see this kind of though process. trips like our recent @helpendpoverty:twitter pilgrimage to haiti are the kinds of experiences that help bring something like this home. i’m grateful to have experienced haiti with a team that’s taking this kind of approach in the fight against extreme poverty! I think that you’ll really enjoy it Carole! Hey Dan, glad to see you read this book and are giving it some “air time” here on on your blog. I read it along with our entire spiritual leadership team at my church and it has definitely made us more aware and thoughtful about the way we do missions and our involvement in both Haiti and Kenya. One of the biggest learning points for me was the distinction between relief, rehabilitation and development efforts. We tend to treat everything as if it’s a relief situation, which is why there is often so little long-term progress. Yeah, I figured that this book would be right up your alley! I hadn’t seen your review, so thanks for sharing the link. I love it! And I think you are right on with the distinction between relief, rehabilitation and development… it can be pretty powerful when we start to recognize those VERY different types of efforts in our missions efforts! great book with wonderful ideas:) it forms the backbone of missions ministry for our church…both local and foreign, here in huntsville, AL. i enjoyed and was challenged by a series done in SS on it. you really can’t read it and think about it alone. works much better to discuss in a group. the whole idea of going to a poor community, for example and asking them to name their resources and tell you what they see their needs as being was a bit revolutionary to me…and showed me that i had some residue of patronizing attitudes left in me too:( those attitudes can be so subtle!